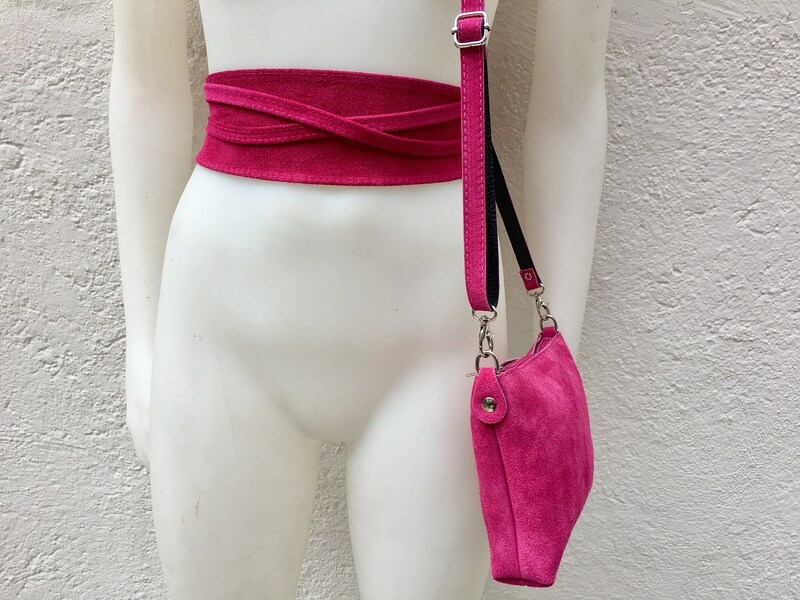 Small suede leather bag and matching OBI belt in SHOCKING PINK. 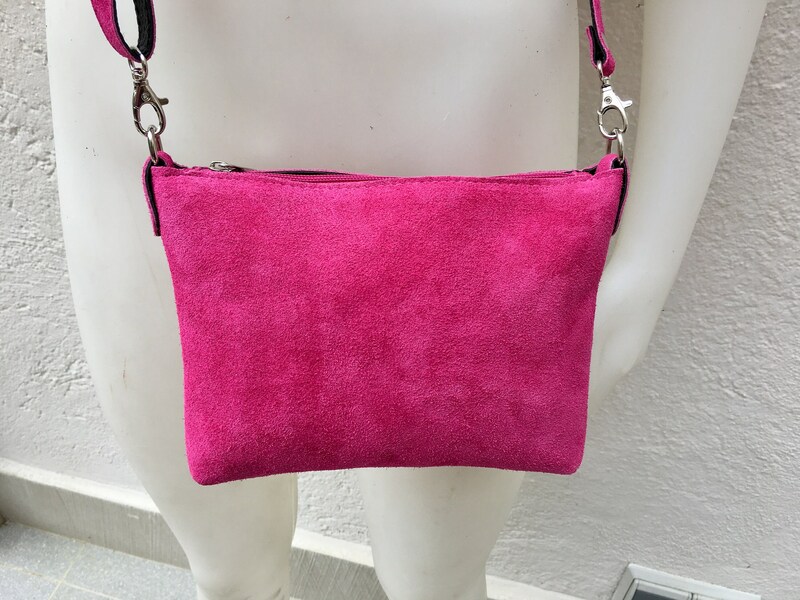 Natural, soft genuine suede leather in magenta color. 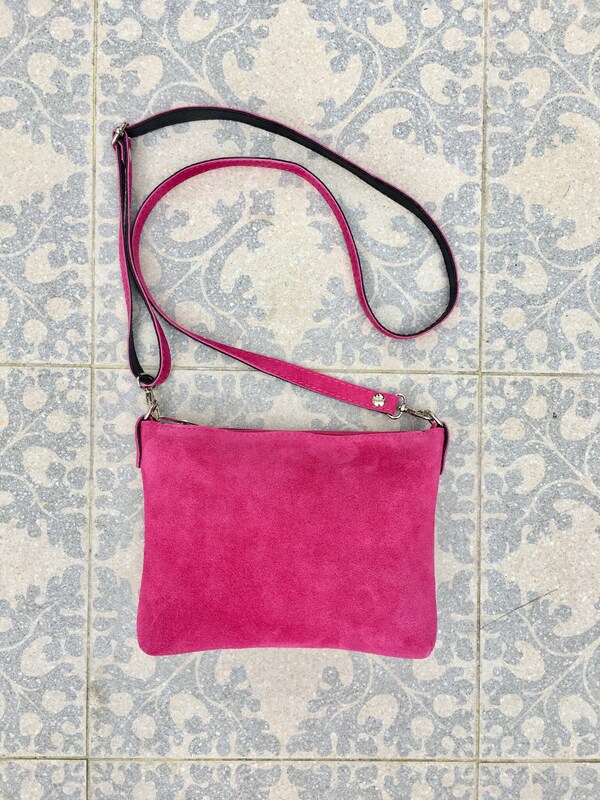 Small cross body bag in pink suede. BOHO, Festival cross over bag. Adjustable and removable suede strap. Can be worn as a shoulder bag or cross body.